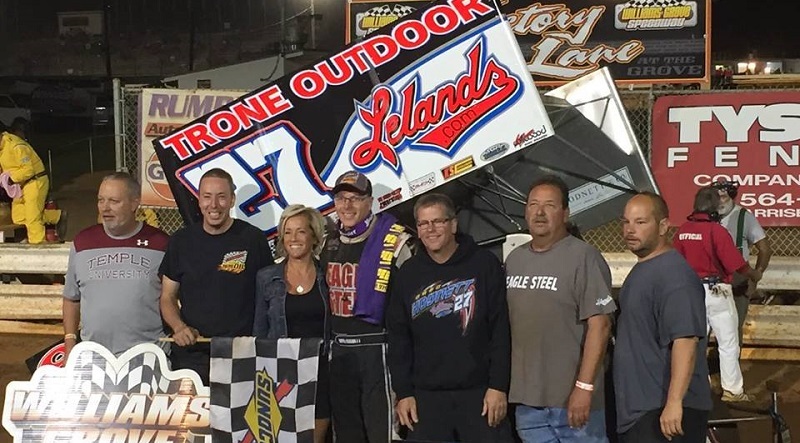 Greg Hodnett’s eventful Thursday evening was capped off in style, as he led all 30 laps to score the $20,000 Summer Nationals make-up feature from July. 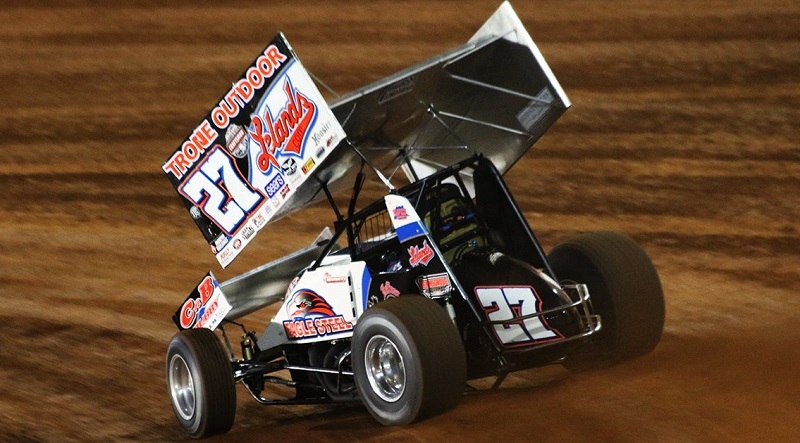 Thursday night during the qualifying programs for the Bad Boy Off Road World Finals at the Dirt Track at Charlotte, Greg Hodnett poised himself to be the man to challenge for a Posse victory in the season-ending weekend after finishing second last year. 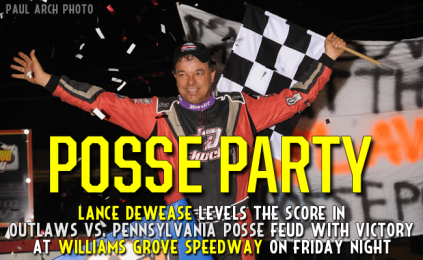 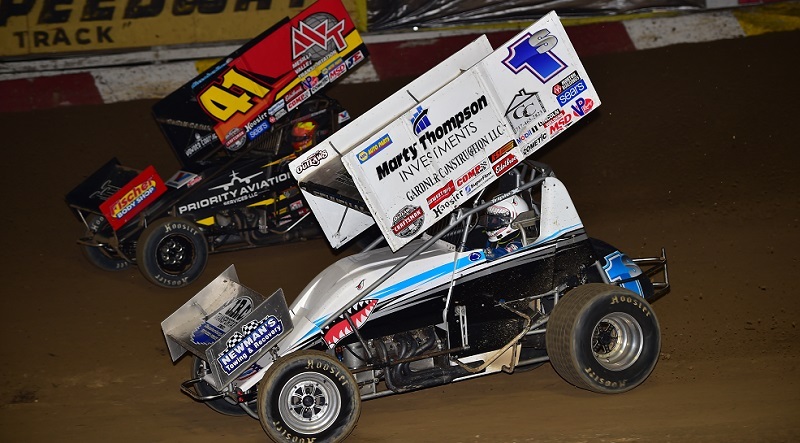 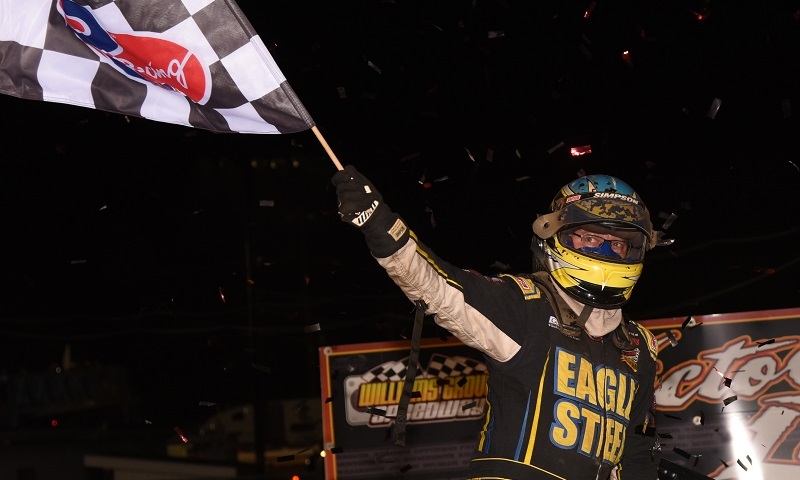 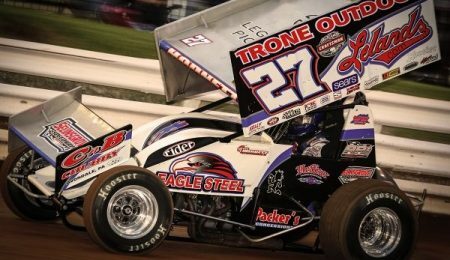 The sprint car spotlight is less than two weeks from shining on The Dirt Track at Charlotte, and the stars of the renowned Pennsylvania Posse are ready to chase Carolina glory. 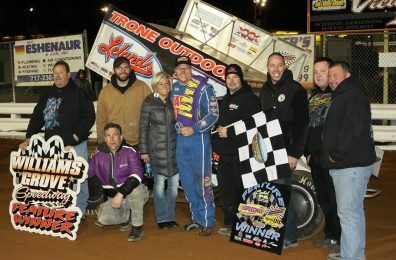 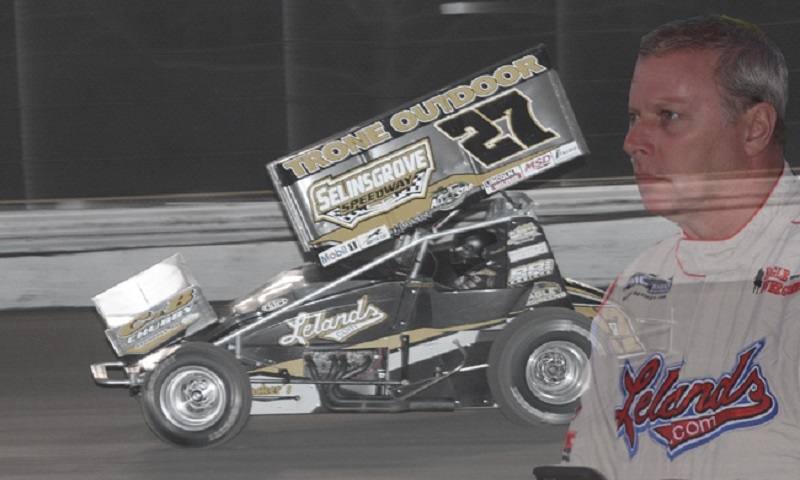 Greg Hodnett won his third sprint car feature of the season at Williams Grove Speedway on Friday night, scoring $3,800 for the 25-lap victory that was the 66th of his career to date at the oval. 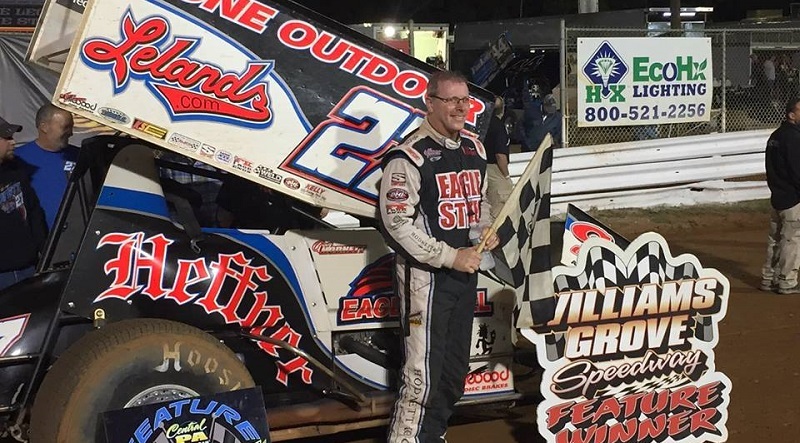 Greg Hodnett went into Friday night as the Williams Grove Speedway point leader, but hadn’t won a 410 sprint car feature at the track since the end of March. 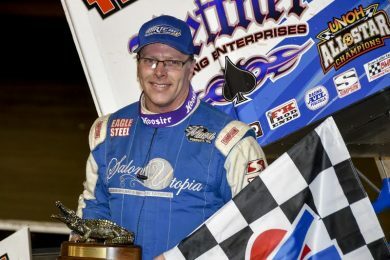 Greg Hodnett used a late race restart to make a two-car pass, sweeping into the lead and ultimately winning $10,000 in Sunday night’s second round of the Port Royal Speedway Bob Weikert Memorial Sprint Car Series.